Could Washington generate electrical power from the Earth’s heat near its volcanoes? 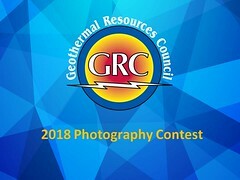 That’s what will be explored early this summer as the state Department of Natural Resources (DNR) drills four to five, 1,600-foot-deep wells to begin locating potential geothermal power plants. “Our hope is that, as you go down into the Earth, these will show an elevated temperature,” said GRC Member Alex Steely, Ph.D. a DNR Geologist who is working on the project. He calls them “temperature gradient” wells. Several of the wells will be drilled near Baker Lake, off of US 20 south of Mt. Baker. On a generally clear day with little wind, we can be reminded of the steaming vent at the summit reminding us that Baker is a volcano. The other wells will be drilled about 15 miles northwest of Mount St. Helens. That steam generated by a hot vent that runs miles below the mountain and a reminder that hot rocks and molten magma are not far below the surface whether a volcano is erupting or not.